Symbolism is all around us. Doves aren’t just birds, they are ambassadors of peace. Roses aren’t just flowers, they mean love. 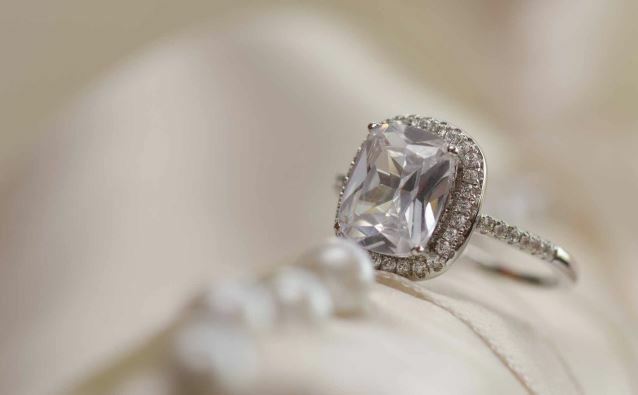 Likewise, wedding rings are infinitely more than just circles of metal inlaid with shiny stones– wedding rings are the ultimate symbol of connection and commitment. 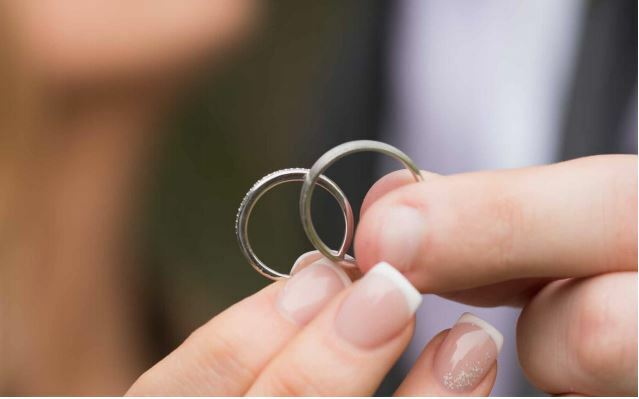 A couple’s choice in wedding rings can say a lot about them. Perhaps two hearts that beat as one deserve a traditionally designed set that’s nearly identical. Or maybe their “opposites attract” chemistry calls for paring a gold band of elegant curves and an onyx band accented with sharp geometry. Wedding rings from !XAM Diamonds are as unique and strong as the marriages they represent, and our designers will create a timeless set that reflects your union’s inner truth. Setup an appointment with us today! We set the standard for wedding bands in Toronto. We can take your designs all the way from imagination to matrimony, whether a completely original creation or something using our existing wedding ring sets as an inspiration or starting point. 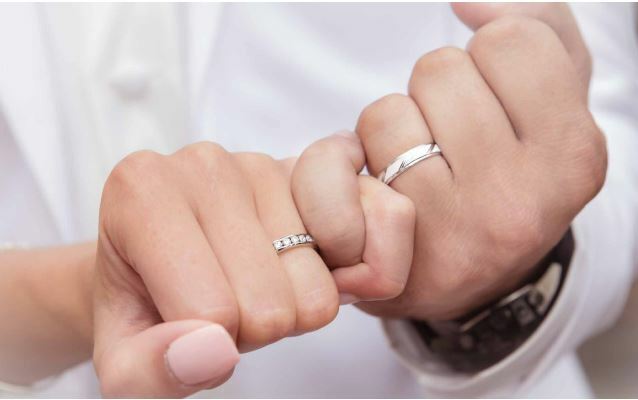 We’re especially proud of these matching wedding rings for the way their designs connect using the larger band’s dark ring and its stylized notch to complement the thinner band’s encircling of diamonds with a single darker stone for accent. Both rings stand out as their own stunning piece, but when viewed as a pair their symbolism is undeniable. This custom designed wedding ring set is a prime example of our designers’ ability to take classic design ideals and update them for contemporary tastes. Their elegant curves and shimmering gold finish are an ideal backdrop for the interlocking circles of inlaid diamonds that differentiate the pair. designers more committed to artistry and perfection than the experts at !XAM Diamonds. 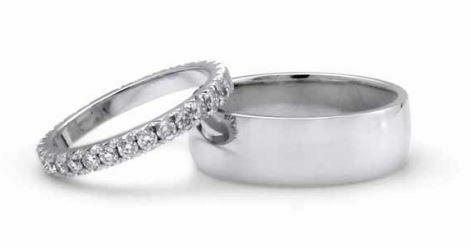 Meet with us about your wedding ring today!